We have one Gardenia jasminoides at work. I think it's been the same one for a while now, because it's big, and it's old enough that the price tag has partly faded and fallen apart, which happens to plants that have been around a while. I think I've even seen this particular plant bloom before, last spring, as a customer. And it's a nice enough plant, and flowers are pretty and all, but I never really saw the point to trying to grow Gardenia indoors. Flowers, okay. Reasonably pleasant, glossy green foliage – great. But they could hardly be worth the trouble, could they? Because let's face it, they don't go out of their way to be growable indoors. Many, many pests and diseases like them, including: spider mites, aphids, scale, mealybugs, whiteflies, assorted beetles and fungi, and powdery mildew. The petals will turn brown if handled (or even, in some cases, touched). They don't like windy conditions. They can sunburn. They drop flowers if they're too wet, overfertilized, too hot, or too cold. They don't like stuffy conditions with no air movement either. They're prone to iron chlorosis (yellowing of the leaves due to lack of iron) if the soil pH is too high, if roots have been damaged, if soil isn't well aerated, and so forth. They tend not to rebloom indoors, though they may if they get to summer outside when temperatures are warm. They need bright light pretty much all the time, and high humidity, and they won't set buds without cool night temperatures. There's just nothing easy about them at all. Even so, there are some people out there who can do it. We got a call at work a couple months ago from a woman who said she was having troubles with a Gardenia that she'd had for thirty-some years. Which, granted, the problems sounded pretty serious over the phone, and possibly she lost the plant, or will at some point, but even so, anybody who's kept one for that long has more or less proven that it's possible. But for me, the question was still, why bother? I mean, the flowers are kind of elegant, the way the petals are all kind of folded up together in a spiral when they open, and they're nicely scented and everything, but surely there are nice architectural flowers with pleasant scents out there that wouldn't be so problematic. Maybe a Citrus of some kind, or Jasminum. What's the big deal with Gardenia? And then the one at work flowered. Just one flower. And I realized that it's not so much about the shape of the flower, nice though it is, or the leaves being dark green and glossy, though that is also attractive. It's not even about the flowers' scent being pleasant, not in and of itself. There is a depth to the scent, a dimension, that you don’t pick up just from leaning in to take a quick sniff and then moving on. You have to live with a Gardenia for a little while to experience the smell properly. Or any smell, really. I have similar feelings about the orange jasmine tree, Murraya paniculata: smells change from one time of day to another, they get mixed with others, they progress. Sansevieria trifasciata and Crassula muscosa flowers both smell very different on the first day than they do on the third. Gardenia doesn't seem to change as much (though they do smell better when newer and fresher), but you need some time to appreciate them properly all the same. You have to be going about your business and then stopped in your tracks by a whiff of the scent, repeatedly, for it to really sink in: it's not enough to just stop and sniff one when you're in Lowe's and say, oh, that's nice, or whatever it is you'd say. I find it hard to come up with a sensible description that would explain the smell to someone who had never encountered one before, but the two words that keep coming to mind are sweet and balanced. Sweet because there's a sort of powdery vanilla (verging on glazed donut) angle to the smell that's not something you usually find in flowers, though it's subtle, and balanced because there's nothing to the smell that's especially overpowering or cloying: it's sweet, and it's floral, but neither one dominates. I could be wrong, but I get the feeling that a room full of Gardenia flowers would be just as awesome as a room containing a single one, unlike some flowers where one is nice and ten is way too much. I may sound like I'm exaggerating, or overdramatizing, and I am a little bit. But it all makes sense now. I would understand, if a tribe of Gardenia-worshipping cultists were found on some previously unknown island in the South Pacific. Also Billie Holiday3 makes more sense. I'm never going to try to grow one myself. There are just too many things that could go wrong. I accept that not all of the plants I have are going to survive and grow well for a long time, but I don't have anything like the conditions a Gardenia would want, and there's no point in putting us both through the anguish. Fortunately, the one at work is priced at like $120,4 so I expect I can enjoy it for at least a little while longer. And maybe someday. When I have a gigantic, state-of-the-art greenhouse. Maybe then. I'd Turn Back If I Were You! -- cropped picture from "The Wizard of Oz," I forget where I found this particular picture, but I'm pretty sure TWOO is old enough to be public domain by now. 1 Surprising but true. Though you apparently have to get quite a few of them together at once for the scent to be very noticeable, because I had never detected any scent until we got a bunch of plants in that were all blooming heavily at once. It's not the most interesting smell, but it's not unpleasant. 4 It's a 6- or 7-foot standard -- i.e., a plant that's been shaped into a ball of foliage on top of a length of bare stem -- so this isn't completely ridiculous. Though I'm sure you could get the same thing for less in some parts of the country. I didn't get a picture of the entire plant because that's a difficult photograph to get, given the size of the plant and where it's located and everything. When I graduated from college, my sister placed on me a lei that she made from a couple dozen huge gardenia blossoms grown in her yard. The fragrance was intense and blissfully dizzying. That plant was absolutely covered with blossoms every year. If you like gardenia, grow the orchid Brassavola 'Little Stars.' Much easier, different, but just as rich fragrance (but only at night). Yep, it's the flowers. I have two large gardenias growing in my garden (plus a number of smaller varieties) - and they are about 8' tall by 10' wide and are both in full bloom. The fragrance stops you in your tracks. There's nothing quite like gardenia season in the south. OMG. 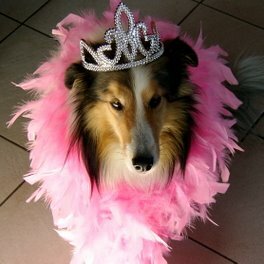 Your blog is the greatest. I suppose I don't need to extol the virtues to you, but it's like an encyclopedia that's actaully fun to read! My mom worked at a huge private nursery when I was growing up. 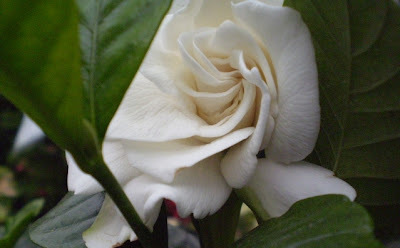 I remember taking deep whiffs of the gardenias, I smelled them for so long that I inhaled all of the fragrance!!! New comment to an old post. I'm so amused you put a '10' on this plant. Every year I root at least one off the old outdoor plant that has been here for 50 years. They're everywhere. I began to plant hedges of them, just because I garden in a favorable climate for gardenias. Right now there's a tiny cutting in the greenhouse, growing like mad. I think most gardeners love them to death. They don't ask for much, except a little magnesium sulfate. Well sure, they're easy if your climate's doing most of the work for you already. But indoors? Not so much. Your yard must be unbelievable when they're all flowering. I'm jealous. I bought a bonsai gardenia from the shop where I work as a florist. We actually were not sure of the plant's name at the time, although I later found out from our greenhouse supplier that it was a gardenia. It did well (indoors!) for awhile, but then all the leaves turned yellow and dropped. I got it to come back to life, but then I re-potted it, (a BIG mistake). All of the leaves dropped again, and the tips shriveled up and its headed for the compost. I purchased the same bonzai gardenia from our shop as a housewarming gift for my boyfriend-- and his is beautiful and thriving! I'm certain its because he ignores it, while I payed too much attention to mine. WOW. What beautiful photos. I wish I could grow gardenias in my garden. Their scent is amazing. When I went to high school in San Antonio in the very early 1960s, there were two huge gardenia bushes in front of the school. Each morning I would steal a flower. I'd carry it all day, eating a petal every so often. Gardenia petals taste exactly like they smell, and you have the added pleasure of that tenderness on your tongue. I have two species, both in the north garden. Slowly but sure. 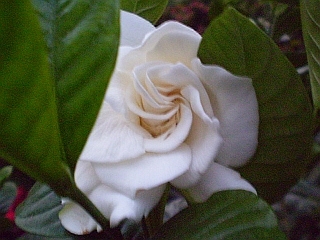 Totally agree on the depth of the fragrance of the gardenia - balanced and sweet. I grew up in Malaysia, where we had two huge gardenia bushes at the front of the house. The bushes were perpetually covered in flowers, and every evening we were treated to the fragrance. I've since tried to grow gardenia in my current garden but they are not doing well. I suspect its the soil. I have never quite recovered from an experience in Veracruz, Mexico, when I was 11...and my family stayed in a wonderful hacienda where towering gardenias lined the walkways. Every evening they would dump a truckload of gardenias into the swimming pool...and we swam through them in the twilight. Now I live in Massachusetts, where (needless to say) the climate doesn't favor them. But I did keep one alive for several years here, putting it in the shower (no, not when I was there too) on a regular basis...with lukewarm water, and feeding it a high-nitrogen food. In summer I'd put it outdoors, where it liked the humidity. But it never grew as it would have done in Mexico! Step 1: Plant gardenia in well-draining soil. A very gritty soil that will drain freely. The only moisture-retentive ingredient should be Turface or Axis (no peat or other nonsense). Note that this will require a runoff solution or a basin with a pump for the runoff since we're talking about indoor gardenias. Step 2: pH adjust water down to between 5.5-6.5 with vinegar. Approx 1 tsp per gallon of muni water where I live. This will vary with location. Get a small syringe and keep a little jar of vinegar near your watering can. Adjust at every watering. It is also best to eschew CRF and mix in a complete fertilizer with the vinegar in proper proportions and then to feed at every watering. Step 3: Place gardenia near a window and add supplemental T5HO lighting on a timer. Step 4: When the plant comes in every year pickup some green lacewing eggs on cards. This should be a no-brainer for anyone growing houseplants. If the indoor environment will not support the adults repeat application of lacewing eggs as necessary. This can be avoided by making sure there are enough plants in bloom to feed the adults or by feeding them artificially with insect feeders. For lacewings to be successful one must also control ants. Step 5: Enjoy flourishing indoor gardenia. The above might sound complicated but it really isn't. It is the way nearly every indoor plant should be cared for. There might be minor differences in desired pH but gardenias are no more difficult to care for than any other plant. Control insects, fertigate properly, plant in appropriate soil, win. The above might sound complicated but it really isn't. It's a good bit more complicated than the care for, say, a Dracaena fragrans. You're saying that a special soil mix, ongoing adjustment of the pH, bringing in special bugs for insect control, and potentially bringing in special feeders to feed the insects you're bringing in to eat pests (!) is simple? It is the way nearly every indoor plant should be cared for. Again, no. Temperatures suitable for a Gardenia are not going to be acceptable to a Homalomena. The watering schedule for a Gardenia will differ from that for a Haworthia. The selection of potting medium is a good deal more restrictive than what you could use for Ficus benjamina or Yucca guatemalensis. The pH-adjustment step would be useless or counterproductive for most cacti. Zamioculcas should never need pest-eating predators brought in for it. Etc. Most indoor plants are going to need something different from what you're describing, in at least one of the particulars. There might be minor differences in desired pH but gardenias are no more difficult to care for than any other plant. 1) Water with dilute fertilizer when dry. 2) Place in a spot that has some light. Perhaps you're meaning that Gardenias are not, in fact, actually impossible to grow indoors. I agree. And as far as it goes, I'm thankful for the additional instructions, which will (I hope) be useful to readers. But there's a world of difference between "not impossible" and "no more difficult than any other plant." In my view there are a few major difficulties when it comes to houseplants - all houseplants. The gardenia is not a special case. I treat all of my houseplants in almost exactly the same ways. They are certainly all in the same soil. They all receive the same fertilizer solution (2 jars with 2 different pH ranges). Watering schedules differ as they should for all container plants. 1) Proper soil solution pH. Muni water tends to be well above neutral. In my area the pH of our muni water is 9.8-10.2. That sounds absurdly high but it is on the water report and it's also what my instruments say. This is an unacceptably high pH for container culture. Why? Because the pH of the *water* is by far the most important element when it comes to controlling the pH in the container. Most plants would seriously suffer with a soil solution pH of ~10. You can add as many soil acidifying elements to your soils as you want but every time you water the solution will creep up toward 10 and very likely stay there until long after you need to water again. The solution? Acidify your water. This can be done in many ways but vinegar is cheap and easy and everyone has it available. Some minor variance here between plants but all that means is you add a little more or less than a tsp of vinegar per gallon of water depending on the group of plants. The vast majority will do well with ~5.5-6.5. If you're trying to grow blueberries then you might have to use more vinegar. 2) Uneven watering/moisture retention. Over-watering is the number one killer of houseplants in my view. Most people use terrible soils for their houseplants - bagged nonsense they buy at big box stores that let them water every 2 weeks. Often these include *horrible* "moisture control" polymers that further increase the water retention of the soil. All wrong. Very few plants appreciate waterlogged soil. You might be able to grow some species in pure peat soils (5% perlite doesn't count) - they might look ok to you but they are *not* living up to their potential. Any water logged soil is causing feeder roots to drown and the plant is spending energy re-growing these drowned roots. Solution: use almost entirely inorganic soils. These will be made of things like Turface, Axis, Perlite, etc. Sometimes with added bark for a minor organic element. These soils will *not* perch water. The Turface and Axis will absorb more than enough water for the plant - even with large citrus trees (like my 10' indoor lisbon lemon and 19 other varieties of citrus I currently have indoors). I cannot stress this enough: these types of soils will work will *all* plants that are not essentially water plants. Watering schedules will, of course, vary. There are 2 downsides to a soil like this. When used indoors since they are *designed* not to perch water certain amounts of runoff must be dealt with. The other issue is that they contain no nutrients. When made they should include an appropriate CRF for the species and then topdressed as necessary OR fertigate at every watering by combining the vinegar you're using to acidify with a complete liquid fertilizer. It is nearly impossible to over water these types of soils. The extra water that would sit perched in a peat-based soil goes right through them. They are the most forgiving when it comes to overwatering and are much *easier* to water as a result. These types of soils also avoid salt buildup because they essentially flush at every watering. 3) Insects. Controlled with lacewings and ant baits as discussed. 4) Disease. This is species specific but isn't nearly as big of a problem for most species as when they are outdoors. Keep the leaves dry and generally my plants remain disease-free. I use appropriate anti-fungals on anything moving in from outdoors at the end of the season. Temperature is not a major concern unless you are getting into some truly exotic varieties. The temperature changes afforded by windows (colder where I am) and lights (much warmer where I am) solve this - up to a 20 degree difference. Humidity is similarly controlled with simple micro climate techniques. The process that you use for your Aglaonemas is exactly the process I use for all my plants. The difference is that my fertilizer solution also contains appropriate levels of vinegar and I've bothered to make a soil that is more flexible. With the same maintenance work that you put into your Aglaonemas I grow 20 citrus trees, a large variety of orchids, 4 gardenias, 3 other types of jasmine, 2 fig trees, miniature roses, several cacti, etc. I stand by my assertions that with a properly made soil and only minor one-time adjustments to fertigation pH levels I (and thus anyone) can grow almost anything (and certainly gardenias) indoors successfully with the same effort that you put into your Aglaonemas. No, I get that all those things are important. What I think you're not understanding is that your experience growing plants in your home, with your tap water, is different than the experiences of other people. Tap water pH is normally between 6 and 8, though it varies from location to location and sometimes also from season to season. Most people do not need to lower the pH from 10, because most people start from 6 to 8. (I googled and was unable to find anybody even talking about a tap-water pH measuring more than 9; apparently pH above 9 starts to corrode metal pipes, so cities usually adjust the water supply to be lower than that: 8 is apparently ideal, from a pipe-corrosion standpoint.) Suggesting that everybody needs to take steps to solve problems they are not having is . . . well, weird. I never said I grew anything in pure peat, or encourage others to do so. I use Ball Potting Mix (~55% composted bark, 35% peat, 10% perlite, dolomite, and other), not Miracle Gro. I also amend the Ball mix with a Turface-like product (not Turface itself, because I was unable to find it around here) for succulents or rot-prone tropicals; for plants with epiphytic tendencies (Anthurium, Hoya, Aechmea), I mix in some unchopped sphagnum moss as well. For everything else, I use the Ball mix straight from the bag. It's not really that surprising that once you've adjusted all aspects of your environment to be in line with the requirements of the plants you grow, you find the plants all equally easy to grow. The difficulty rating is supposed to reflect how difficult it is to get these environmental conditions to line up with the needs of the plant. Can a person go to the store, pick out a plant, bring it home, and grow it without having to put in a new window / buy a case of vinegar / set up a humidifier / replace the soil / put it in a terrarium / etc.? By that standard, Gardenias and Philodendrons are not of equivalent difficulty. That's all that the number is supposed to signify. I agree that the pH of the water in my area (Metro St. Louis) is atypically high as it will be for most river-water fed communities. As such I will likely need to use more vinegar than the average person (though we also only have 100ppm alkalinity so people with higher alk and lower pH might need to use *more* vinegar). But nearly everyone growing in containers should be acidifying their water. Nearly all muni water is alkaline with a pH above 7.0. It is kept above 7 to prevent corrosion of the pipes and it is kept alkaline to keep a buffer to keep the pH above 7 (it is low pH that is corrosive to pipes, not high pH as you suggest). Only well-water and poorly managed muni water will ever be below 7. There is no issue with pipes and high pH - only pipes and very high alkalinity - which doesn't cause corrosion but scale. This is what people call "hard water." Most people are around a pH of 8 - this is much too high for container culture. If you look you will find various nutrient availability charts that show that in container culture the ideal pH is between 5.5-6.5 for most plants. This varies slightly with the CEC of the soil and the variety of the plant. Your bark-based mix will be helping you keep the pH low initially (assuming it hasn't been too badly pH adjusted upward with dolomitic lime) but the pH will rapidly move and stabilize at the pH of your water supply (this is actually slightly more complicated if you're interested you can investigate the ratios of ammonia to nitrate at various pH solution levels and where they stabilize). If you happen to have perfect water to begin with then good - that's great for you. Most people won't. Maybe you use well-water or rainwater and it's never an issue for you. It will be for most people - and this is important - even if they don't know it. Your test seems to be: can I take it off the self and grow it in a pot? My answer to that will always be: no. You might think the plant is doing ok but it almost certainly isn't living up to its potential unless you've gotten very lucky and picked a plant that meets the pH of your water and every other aspect of culture. But - it COULD be that easy if you build a flexible soil and acidify your water. Most people know enough to do the simple microclimate things but very few use the correct soils with the correct pH of water or fertilizer solution. This is my broad point: most people are doing it wrong. All of it. Just because the plant doesn't die right away doesn't mean it is fully vigorous as it would be with appropriate pH and etc. A few simple 1-time steps make it possible for *every* plant to be easy. It's not just that I've adjusted my habits to "fit the plants I grow" - I've adjusted my setup and habits for nearly *every variety of plant* because I've paid attention to what soil science says about nutrient availability and water retention in container culture. An aesthetically pleasing rain-water collection system that could support my needs would, sadly, be far too expensive (underground). During the season I have hundreds of pots outside and I live in a nice area where we can't tie 100 50-gallon drums together and etc. I don't use vinegar outside - I use a dosmatic fertilizer injector with phosphoric acid - but that's another situation entirely. For houseplants vinegar will work just fine. For you it would be particularly easy since you already fertigate. Just add the vinegar in the correct proportion and you're off. Or... just keep hoping the same pH will suit all your plants and then rating some plants as incredibly difficult to grow when they don't match up with the exact pH of your water. Whichever works for you. PS: It's great that you know enough to go with the bark-based soils. They generally perform much better than anything at a big-box store. However they are best for fast growing annuals as the bark will break down in about a year (depends on watering) and perform just like peat in terms of water retention. So if you're not repotting (fully bare-rooting and replanting) perennials every 1-2 years then you're back to basically growing in peat. Okay, well. Thanks for stopping by, then. I can see why someone would get depressed after reading several paragraphs of 'you're doing it wrong!'. Pity really, the gritty mix is quite good once you get used to its crazy high water requirements. Sure, it needs a special watering regime, but so does the bagged stuff when you take into account the question of 'is this soil dry enough to safely water yet?'. It really is a matter of what you're used to doing. My dad cannot stand these plants because he is allergic to them. Can you imagine THAT? He would walk into the house and immediately demand where the gardenia was and then order you to get rid of it. When I was in high school I received a bouquet of them after being in the school play and had to throw them away because of that. I did not even get to take it with me in the car home. At the moment I have about 100 seedlings that I grew from cuttings which I planted in seed trays with river silt before transplanting them into planting bags. Once they are bigger I will need to decide if I sell them or keep some as I am toying with the idea of growing some as a hedge. The idea of a whole hedge worth of gardenias in full bloom brings a smile to my face although I suppose that my dad would avoid the place like the plague during flowering time. Hi. I am from Russia originally and I had a heirloom gardenia plant at home with no problem at all. A little different from we can find at nursery now - fewer petals in flowers (but a lot of them), not so heavy smell. Dropped some leaves during winter but tolerated any light conditions and irregular watering. My in-laws still have the plant (it should be more then 10 years old now).